Lamination basically means adding different layers to a mono layer film and converts it into a multi layer film in order to provide it clarity, strength, insulation and better appearance. Lamination requires bonding of the substrate to the product through heating, welding and applying pressure. In packaging industry, lamination is crucial in order to enhance durability and appeal of the printed rolls/pouches. • It offers good seal ability for the pouches. • It makes the pouches look more clear and attractive. • Laminated pouches have long shelf life as the lamination film provides protection from external agents like moisture, chemicals, air etc. • Laminated pouches have great bond strength as compared to non-laminated pouches. Paraspack’s engineers are expert in handling every laminated material. We laminate pouches in various combinations: Poly/ Nylon/ Foil/ PET/ kraft paper/ BOPP/ Met PET/ CPP etc. We provide customized lamination for all pouches. Our skilled professionals handle delicate materials like aluminium with utmost care and deliver wrinkle free lamination for all kinds of pouches. 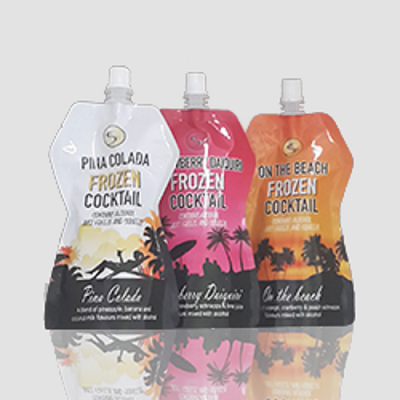 We also specialise in packaging of liquid materials and offer printing and lamination services for liquid packaging pouches too. Besides pouches, we also manufacture printed laminated rolls for food, beverage, pharmaceutical, automobile and various other commercial businesses. You can also contact us if you require pouch printing and lamination services for personal/household purposes. We are trusted printed/unprinted laminated pouches manufacturers since 1998. You can contact ParasPack by calling us on 9810187055 or mail us on info@paraspack.com .